Désolé, ceci est le nombre maximum de produits disponibles en ligne, pour plus contactez-nous. Un produit Reconditionné Certifié a été testé et certifié par le fabricant ou par un vendeur tiers pour se présenter et fonctionner comme un produit neuf, avec des rayures mineures sur l'estetique. Le processus de reconditionnement inclut des tests de fonctionnalité, une inspection, une remise en état et un nouvel emballage. Le produit est livré avec les accessoires pertinents et bénéficie d'une garantie de 90 jours minimum, et peut arriver dans une boîte générique brune ou blanche. Les accessoires peuvent être génériques et pas directement du fabricant. The ThinkPad T440s Ultrabook is the thinnest and lightest ThinkPad T series laptop. Starting at 1.59kg and with a less than 21 mm profile at its thickest point, it's easy to slide into any bag and won't weigh you down. 4th generation Intel Core processors deliver the performance to increase productivity. Devices turn on in an instant and are always up-to-date. You can multitask quickly and move effortlessly between applications, collaborate wirelessly in a high quality videoconference — all with the convenience of longer battery life. Plus, you can guard against identity theft and ensure safe access to your network with built-in security features. In fact, the only thing more amazing than an Intel Core processor-based PC is what your users will do with it. 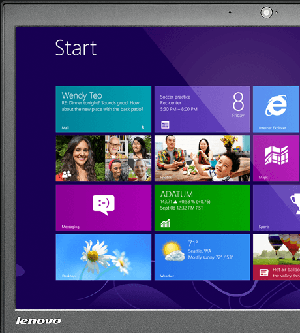 Select a model with the Windows 8.1, Windows 8.1 Pro, or Windows 10 Pro to enjoy the best of both work and play. In-Plane Switching (IPS) FHD or HD+ LCD displays with high brightness. IPS technology allows for vivid colors and nearly 180-degree viewing angles. With optional multitouch, you can enjoy the smoothest navigation experience with impeccable response times. The legendary ThinkPad ergonomic keyboard is renowned for its full array of keys, excellent feel and TrackPoint pointing device. And now it's optimized for Windows 8.1 with convenient multimedia buttons, LED status indicators, Function-lock capability, and immediate access to view apps. Plus, a larger, smooth trackpad with 5-point click integration — indicated by subtle bumps and stripes — can be configured multiple ways through Settings. Optional backlight makes working in dark environments effortless. The ThinkPad T440s Ultrabook is designed to survive challenging physical environments and military-specification testing. Innovative roll-cage technology adds extra strength and rigidity to the notebook’s shell and top cover (carbon fibre top with magnesium bottom for maximum strength without adding weight). 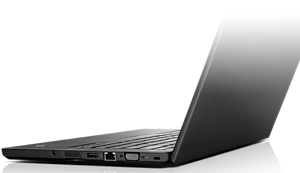 The standard configuration of T440s includes two 3-cell batteries, one internal and one swappable. Power Bridge allows you to swap the rear battery without powering down your system. This is much needed for long flights or travelers who are away from power sources for an extended period of time. For true mobility configure your ThinkPad T440s with WWAN connectivity, so you can go online virtually anywhere without a Wi-Fi connection. Increased audio clarity and maximized volume output without distortion — enjoy a crisp, clear immersive surround sound experience over built-in stereo speakers. 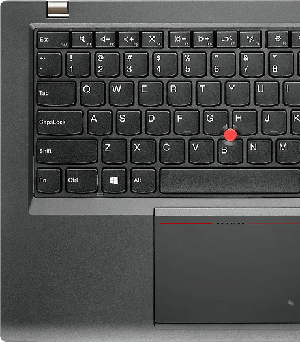 All the power and nuance of the cinema, all the immediacy of live performance, now from your ThinkPad. Crystal clear video, face tracking and keystroke noise suppression technology will help you web conference or chat like you're really there. Dual digital array microphones ensure a premium audio experience. Move data between the T440s and other devices quickly with USB 3.0 — it's up to 10 times faster than previous USB technologies and backward-compatible with USB 2.0. Quelle note donnez-vous à cet article?